Every two weeks, Rare Books and Special Collections is featuring a historic document based on a B.C. 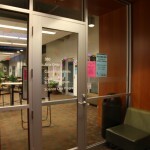 place name used in the Irving K. Barber Learning Centre. Our third featured B.C. place is the Nimpkish area. The community of Nimpkish is on the end of Nimpkish Lake, on the northern part of Vancouver Island. An area known for forestry (as part of the North island Central Coast Forest District), it is also the home of the Nimpkish Lake Provincial Park, and the traditional territory of the ‘Namgis First Nation. 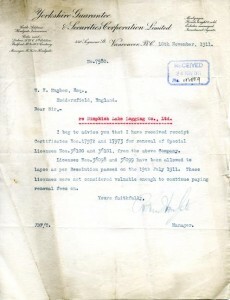 The document shown comes from the Yorkshire Trust Company fonds, and the files from this collection show the establishment of the Nimpkish Lake Logging Company in the early 20th century. 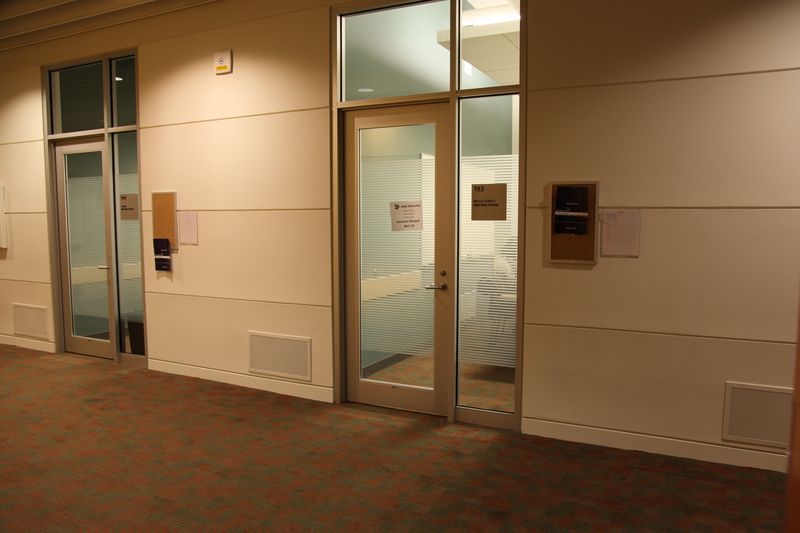 The files contain minutes and correspondence regarding shares and timber leases. 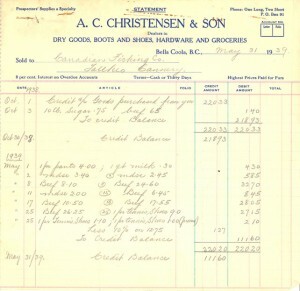 The Yorkshire Trust Company was based in England, but established an office in Vancouver in 1880. 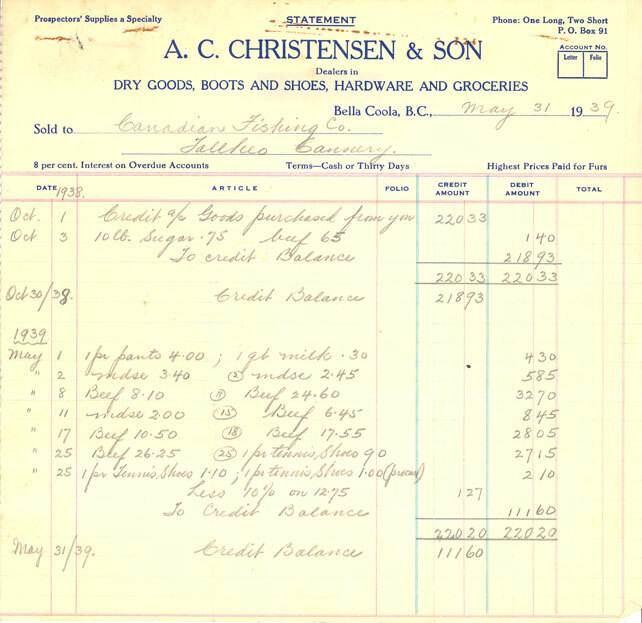 Being one of the first financial companies to operate in British Columbia, its records include valuable historical information on a variety of early British Columbia businesses. These records are available for consultation in the Rare Books and Special Collections division of the library. 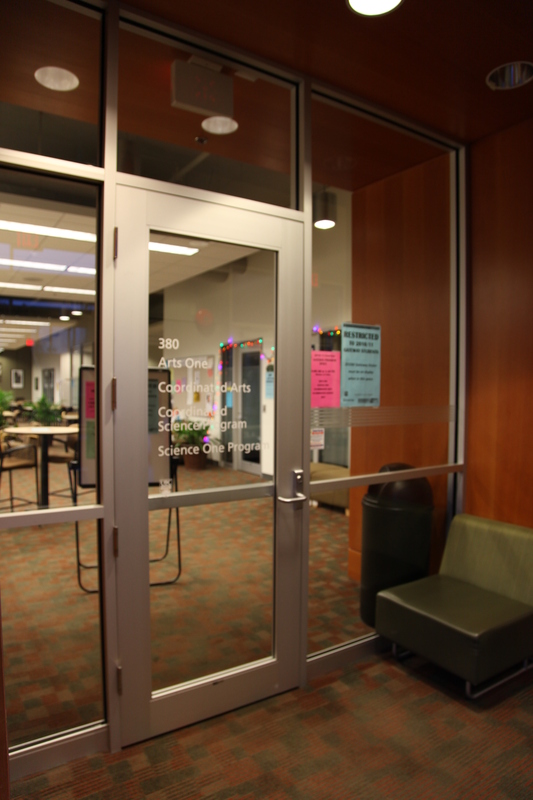 In the Barber Centre, the Nimpkish Study Area is room 387, and is part of the Science One and Arts One area on the third floor. Our second featured place is Moresby Island. During the course of doing research for this blog post, we discovered that there are actually two Moresby Islands in British Columbia; one island is located in the Queen Charlotte archipelago and one island is located in the Gulf Islands. Our collection of early British Columbia Admiralty charts includes charts of both islands. 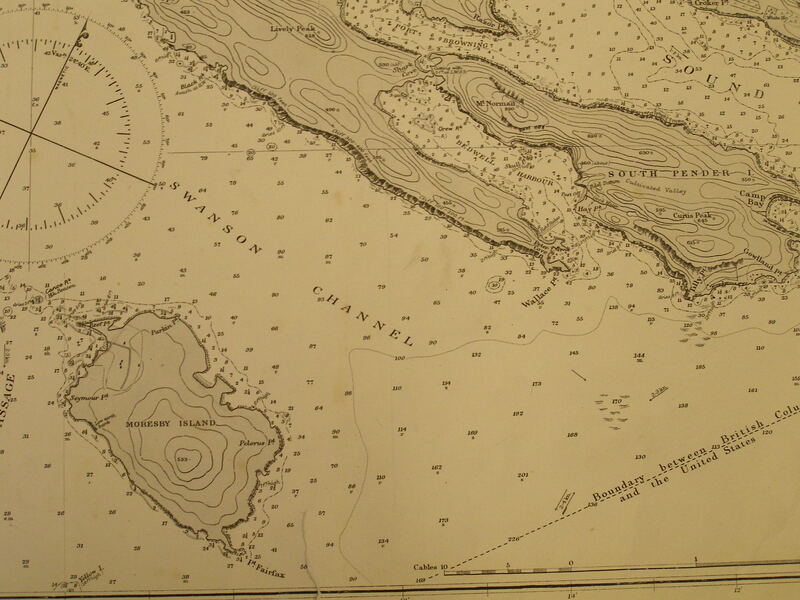 Moresby Island, shown on Admiralty chart 3619, is the name of one of the BC Gulf Islands and is located on the west side of Swanson Channel and east of the southern end of Saltspring Island. 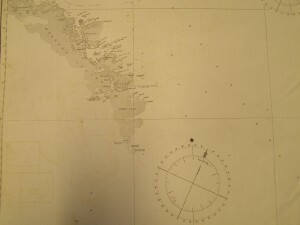 A small island (it is 3.7 km long and 2.2 km across), it was first settled in 1863 and was named after Rear Admiral Fairfax Moresby R.N., who was the naval commander-in-chief of the Pacific Station of the Royal Navy between 1850 and 1853. 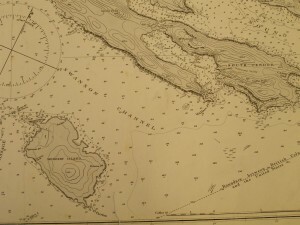 Moresby Island, shown on Admiralty chart 1923b, is also the name of one of the 150 islands that make up the Queen Charlotte archipelago, and is much larger. It is actually the 175th largest island in the world, and the 32nd largest island in Canada. Interestingly, this island was also named for Rear Admiral Fairfax Moresby, by Moresby’s son-in-law, Commander James Prevost. 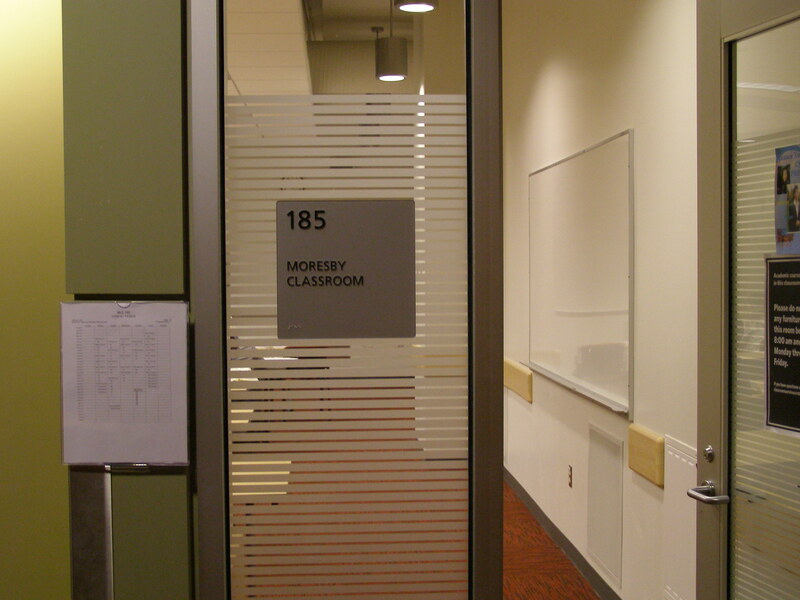 In the Barber Centre, the Moresby Room is room 185 and is located on the first floor of the Barber Centre. In a new series of blog posts, Rare Books and Special Collections will be featuring a historic document, photograph or map related to one of the B.C. towns represented in the room names of the Irving K. Barber Learning Centre. 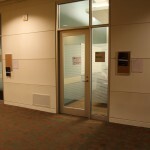 In the Barber Centre, the Bella Coola room is number 193, a meeting room on the first floor of the building. Check back every two weeks for another B.C. 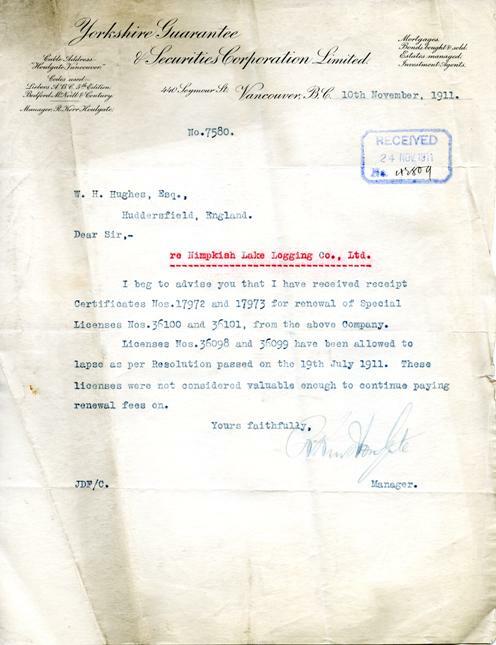 town and another historic document!